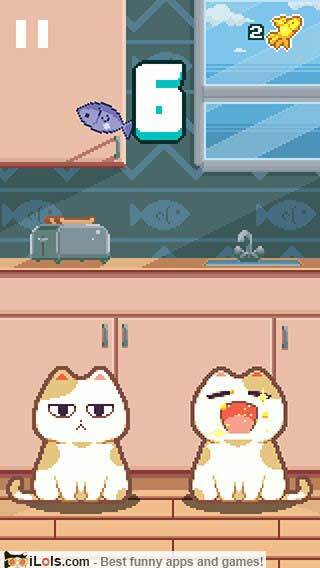 Tap and hold to open the mouths of both cats to feed them with endless waves of fish. 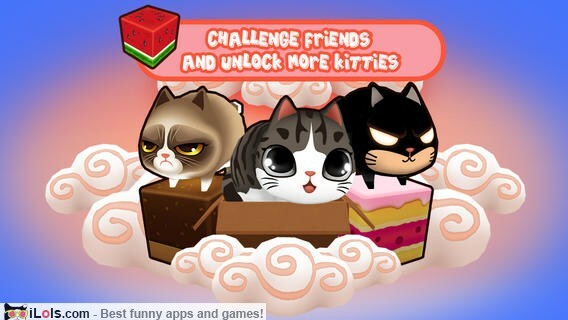 Featuring famous internet celebrity cats such as Garfield, Grumpy Cat®, Nyan Cat® and Keyboard Cat®. 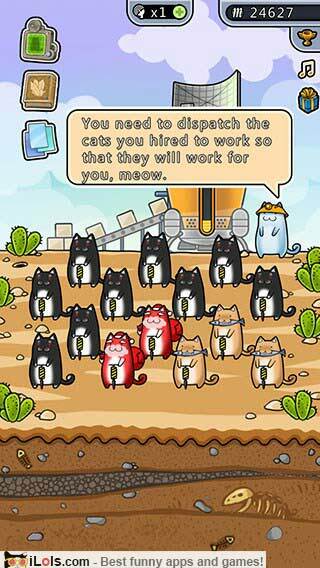 Take a journey into the world of Catlandia. Save and collect as many kittens as you can. Bread your favorite cat breed and try not to laugh. 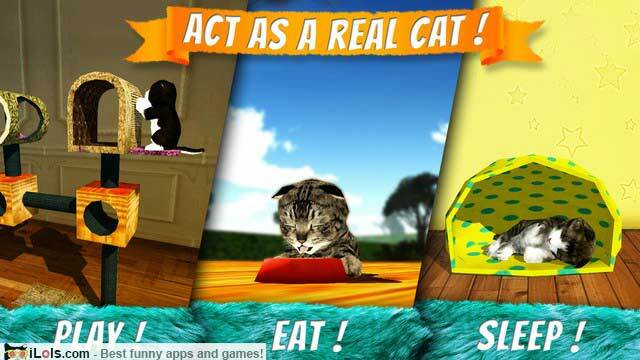 Play as a real cat, explore huge houses and awesome gardens, and of course, annoy the humans. 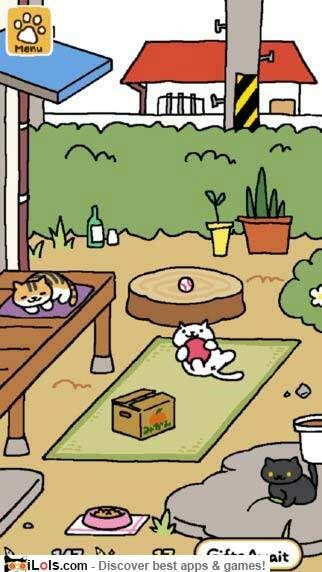 Choose different cats and dress them as you like. 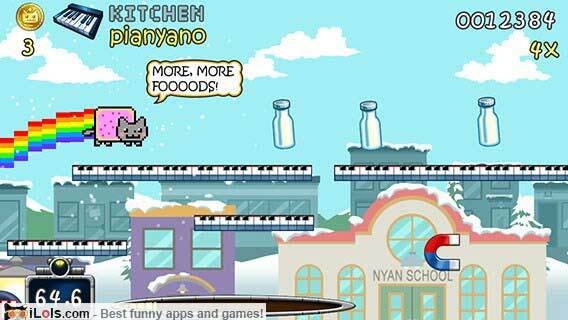 Drink milk, eat ice-cream, collect coins, buy gorgeous boosts, fly like a superhero (sorry… supercat), jump onto platforms made of cake, avoid angry dogs, and discover the infinite space. Help cute Wonder Cat to return home. 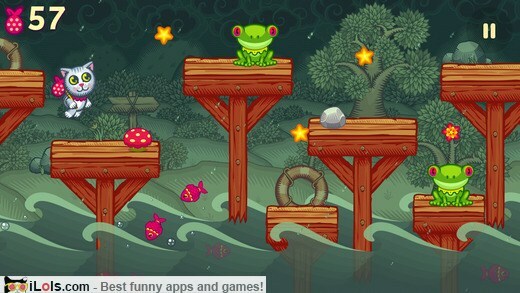 Positive and pleasant gameplay without violence, suitable for children. Some kitties are born ready to slide into boxes, but others need your help to learn how. Place snacks in your yard and wait for cats to visit. 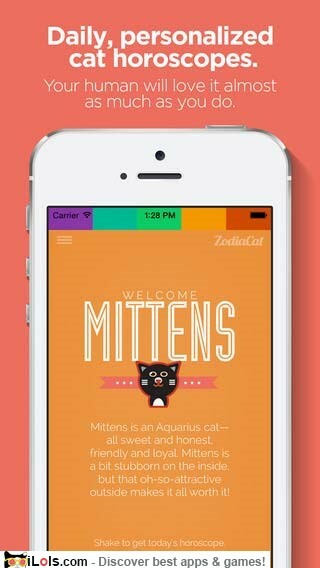 More than 40 varieties of cats might stop by. 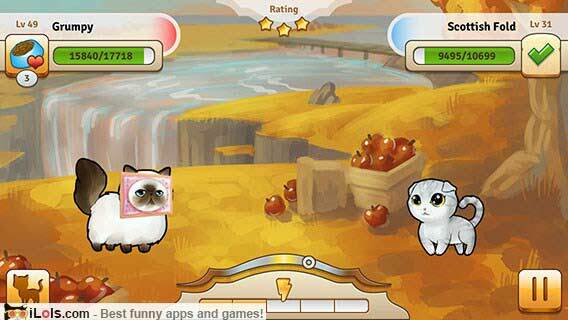 Fun match-3 puzzle game for cat lovers. 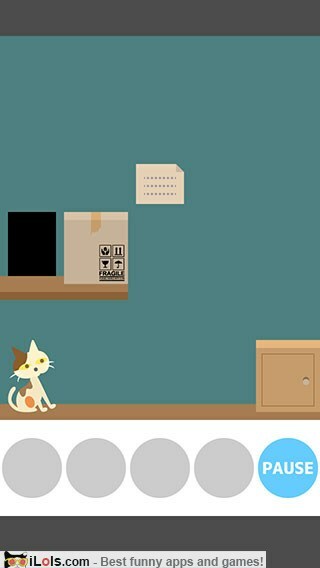 Get a new cat and add it to your house after you clear a stage. 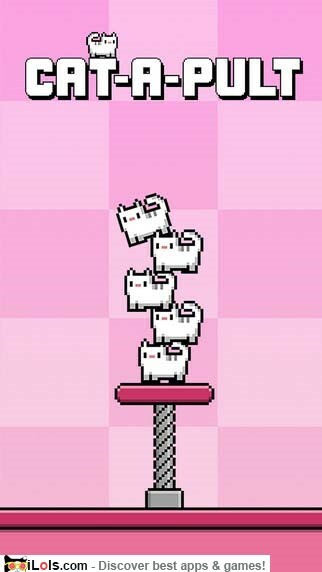 Build a huge tower of cute 8-bit cats. Explore the Meow Galaxy. Total 11 galaxies and more than 70 planets. 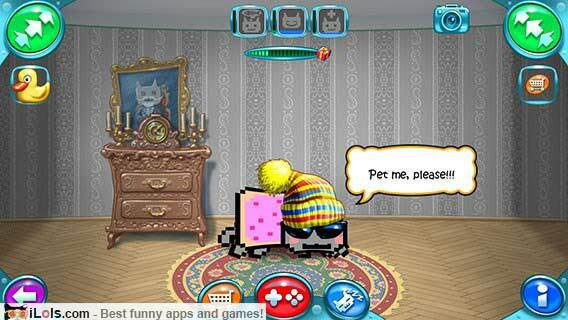 Adopt your very own baby kitten and help him grow into a fully grown cat. 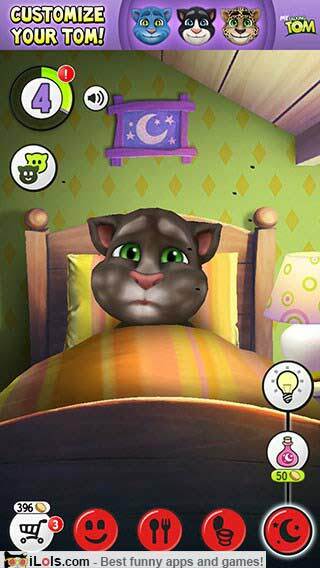 Play games with him, feed him his favorite foods, tuck him into bed. 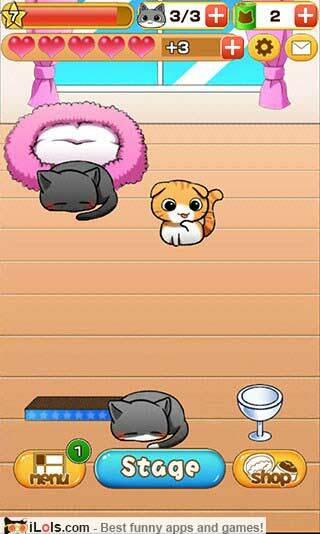 Can you escape from the cat’s room?